This painting combines two USGS reference photos. 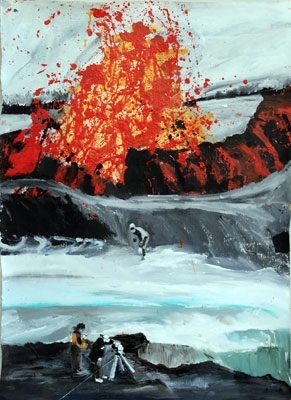 The top shows a USGS scientist running from a volcanic eruption at Kilauea Volcano, Hawaii. The bottom shows two scientists collecting data prior to the eruption.